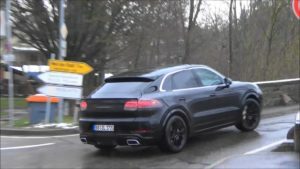 The 2020 Porsche Cayenne Coupe was officially confirmed earlier this year, so it’s not any wonder at all why we’ve managed to see a testing prototype of the upcoming high-riding perfection. More precisely, the guys from Autoevolution have caught the awesome model while it was testing its abilities. 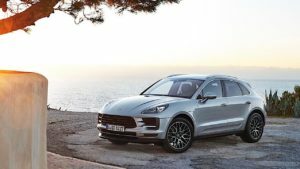 Even though it’s not going to be the first ever coupe-SUV available, the 2020 Cayenne Coupe will definitely look a lot different from any other of the kind. Porsche didn’t bother to cover the testing model overly, so we have a good clue what’s coming. The luxury mid-size coupe-crossover will have a Macan-based front-end styling and pretty much the same roof as the compact crossover. The rest of the coupe will be totally different from anything you’ve seen before. More precisely, the rear hatch is somehow Panamera-based. The rear end may also tell us what’s going to be under the hood. Thanks to the trapezoidal dual exhaust pipe design, we do know that there has to be a V6 under the hood. 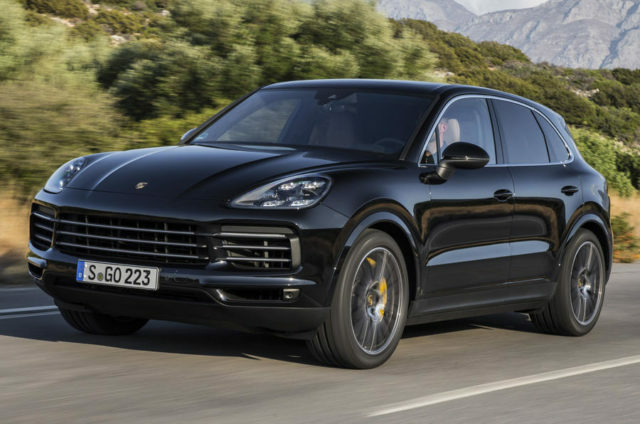 To be more precise, the 2020 Porsche Cayenne Coupe uses either the 3.0-liter V6 or 2.9-liter V6 for the testing. The second one is a more realistic option because it delivers a stunning amount of power, and the power is one of the strongest cards of the upcoming coupe SUV. Speaking of power, it’s important to mention that the carmaker won’t skip the chance to add the Turbo model into the offer. The version will likely rely on a 4.0-liter V8 engine. Still, in case you think this is going to be the vanilla model, think again, because the German car manufacturer is not going to pass by the high-performance plug-in hybrid powertrain which is currently available under the hood of the Panamera. The outstanding drivetrain produces a whopping output of 680 horsepower and 627 lb-ft of torque, which is, you have to agree, more than enough power for the ultimate performance. No matter which powertrain option the potential buyer pick, it’s going to be coupled with standard all-wheel-drive and the eight-speed Tiptronic S automatic transmission. We haven’t seen the cabin of the Cayenne Coupe so far. However, judging by the latest reports, the design and most of the features will mirror the regular Cayenne. No matter how good the 2020 Porsche Cayenne Coupe will be, it’s going to have a really tough task. The segment doesn’t have too many names at the moment, but all available rivals are simply amazing. Still, this is Porsche and they do know how to build an awesome model, especially a coupe.